Jamie Oliver is the World’s richest chef. You may read at other sites that Rachael Ray, Wolfgang Puck, Gordon Ramsey, Nobu Matsuhisa, Alain Ducasse, Paula Deen, and Mario Batali are among the richest. However, none of them even come close to Jamie Oliver in terms of net worth. In fact, their combined net worth is still less than Jamie Oliver’s net worth. Even if you’re not necessarily a big fan of cooking shows, you might recognize Jamie Oliver as the outgoing Brit that is always stirring something in a pot or chopping home-grown basil. Well, apart from being cute pleasant to the eye, Oliver also happens to be the riches chef in the world, worth a whopping $170 million according to the Daily Mail. You may be interested in starting a business. 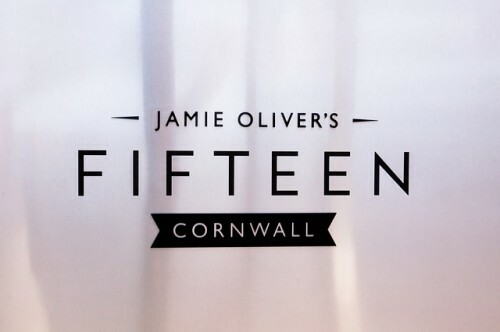 But what has made Jamie Oliver such a wealthy man? Though nobody’s is denying his unmatched cooking skills, we’re betting that Mr. Oliver also has a keen business sense. Following, we would like to present you with a list we have compiled of the top 4 business strategies that have turned Oliver into the world’s richest chef. Before going through this list, please check out our articles about 7 most profitable businesses you could start, 10 most profitable franchises in 2014, and most profitable small businesses. Back in 1997, Oliver was working as a pastry chef when BBC executives discovered him at The River Café and offered him a TV Deal. While getting your own TV show is a great opportunity in itself, Oliver decided to make the most of his lucky break. Thanks to his appearances on the Naked Chef Show and his increased exposure, he took advantage of the publicity generated to also advertise his cookbook, which became a best seller in the UK soon after.